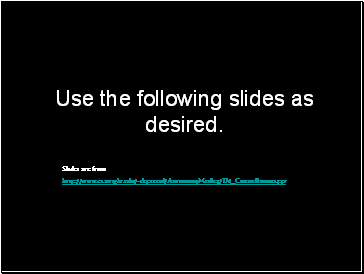 Use the following slides as desired. 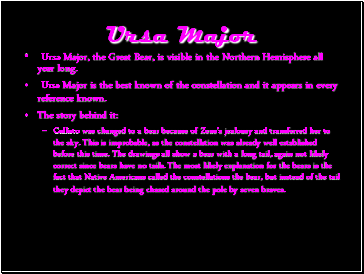 Ursa Major is the best known of the constellation and it appears in every reference known. 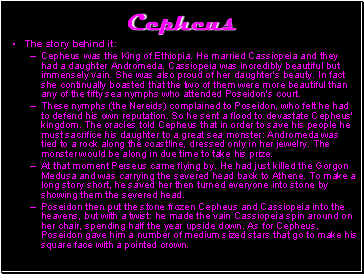 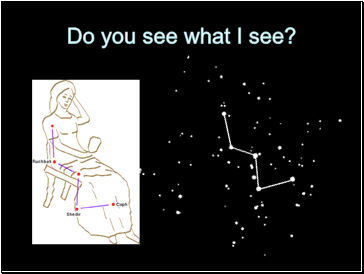 Callisto was changed to a bear because of Zeus's jealousy and transferred her to the sky. 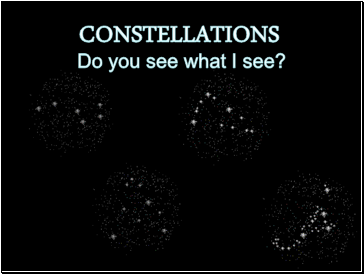 This is improbable, as the constellation was already well established before this time. 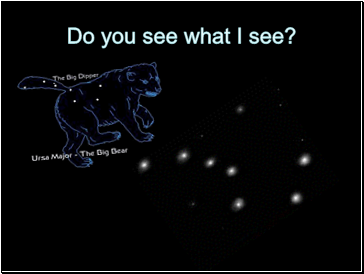 The drawings all show a bear with a long tail, again not likely correct since bears have no tails. 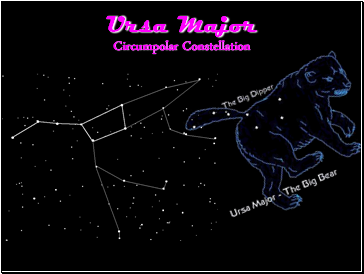 The most likely explanation for the bears is the fact that Native Americans called the constellations the bear, but instead of the tail they depict the bear being chased around the pole by seven braves. 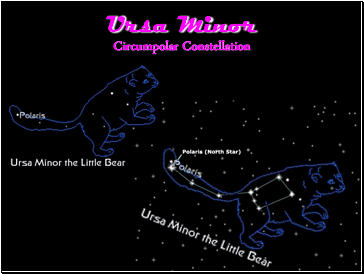 Ursa Minor is mostly known for Polaris, the North Star which may be found at the end of the handle. 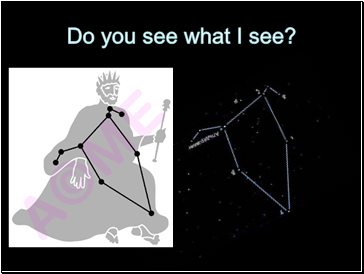 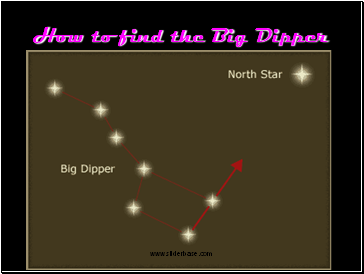 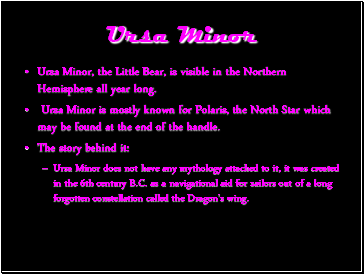 Ursa Minor does not have any mythology attached to it, it was created in the 6th century B.C. 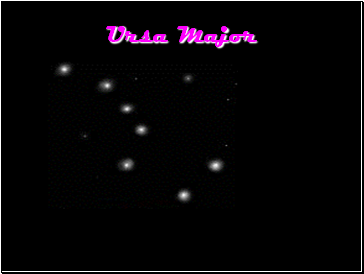 as a navigational aid for sailors out of a long forgotten constellation called the Dragon's wing.